You all know how much I love being able to post about a game having been on Kickstarter now being available for general release. Well, this is one of those posts. Dann Kriss Games is now sending out Tavern Masters to distributors for delivery to brick and mortar gaming stores the world over. If you'd like to get your own fantasy tavern and stock it with the best patrons, now's your chance. 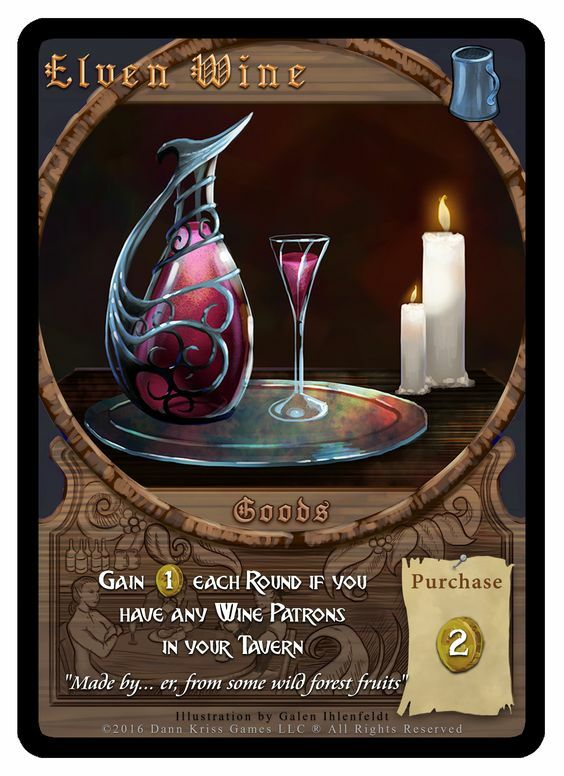 The fantasy card game “Tavern Masters” by Dann Kriss Games is now in distribution to B&M retailers across the globe, along with its first two expansions; “Tavern Masters Dirty Deeds” and “Tavern Masters Games of Chance”! 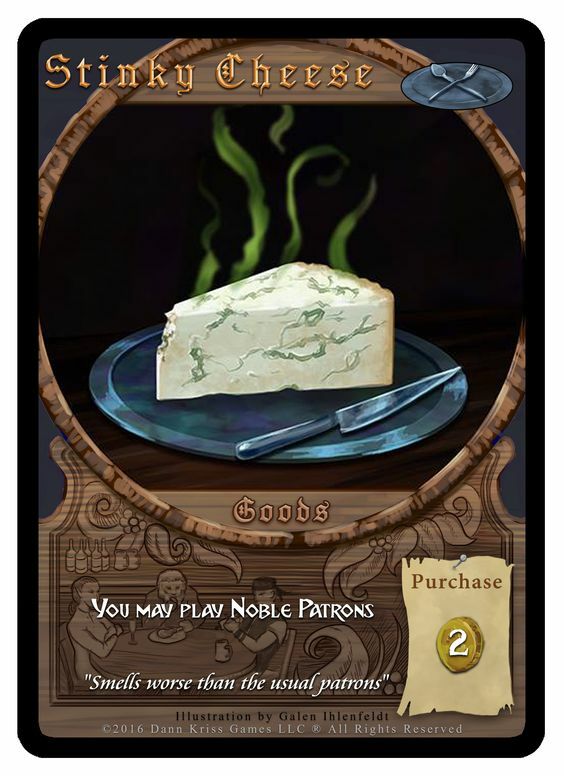 Tavern Masters is a quick-play card game set in DKG's fantasy world “The Realms of Destiny”. 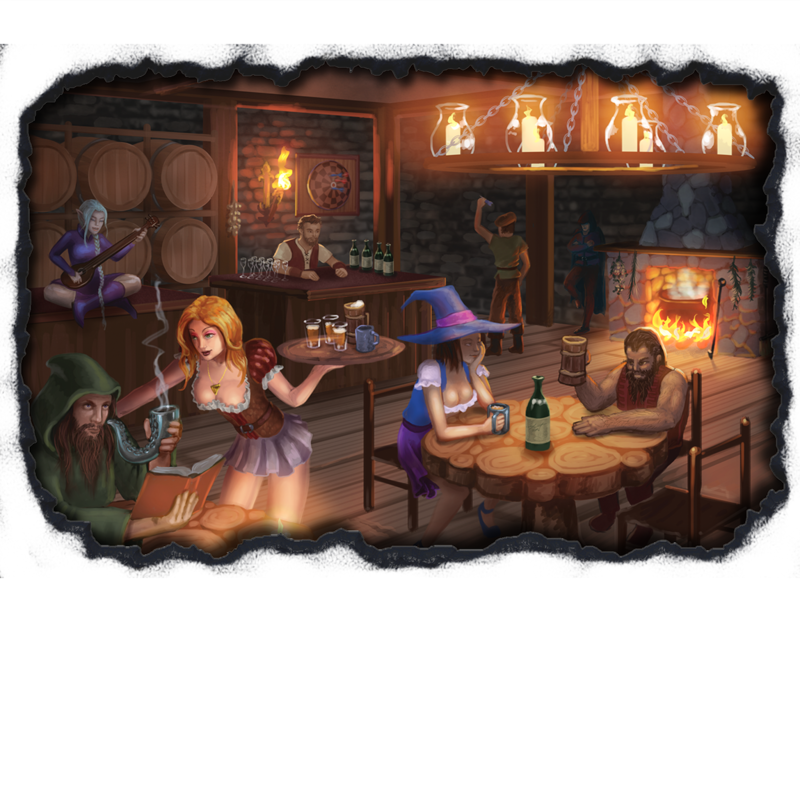 In Tavern Masters, players manage their very own fantasy tavern as they stock Food, Drinks, Games, and hire Staff each Day Phase in an effort to earn gold from the Patrons attracted to their Tavern each Night Phase. At the end of any round where a player holds 20 or more Gold, the game ends and the player with the most Gold wins! Tavern Masters is a great game for first-time gamers and veteran tabletop warriors featuring simple rules, highly thematic art, and fantastic replay value! The game is distributed through Impressions Games Distribution, a consolidator which partners with games distributors worldwide. The is the first of many DKG games coming to stores thanks to their partnership with Impressions. 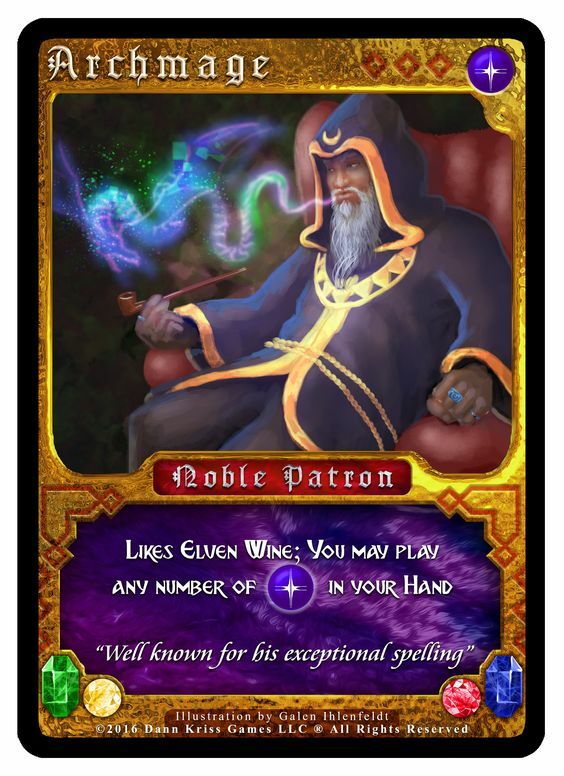 More upcoming releases include DKG's “Cthulhu: The Great Old One : Elder Edition” and “Tavern Masters: Dockside” expansion. Both of these games are launching crowdfunding campaigns later this year to bolster the first print run, but then will be distributed by Impressions. This is a very exciting time for DKG as it takes it's first steps away from a Kickstarter only tabletop gaming publisher as their games finally make their way into major distribution! The first print run of Tavern Masters was limited so call and ask your local retailers if they have a copy today before the first printing sells out!